Hugo Boss is synonymous with high quality tailoring and as an essential part of any man's wardrobe. 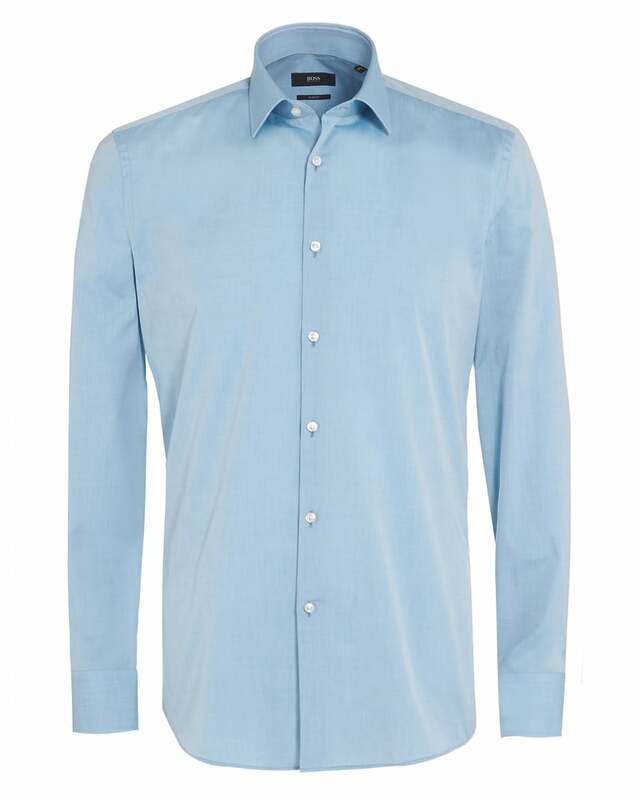 This blue shirt has a kent collar, one button sleeve placket and adjustable cuffs. It's a perfect and easy-to-pair choice for the office.